Small beer and wine refrigerators are essential for barbecues and cocktail parties – or simply for personal use! 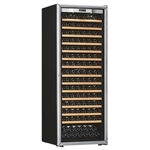 Vino Cellars also features the best commercial wine and beverage coolers for sale for your private event or business. Our top wine cooler units are from brands that have been personally vetted by Vino Cellars for quality and craftsmanship. We promise that they will keep your wine fresh, so browse our wine bottle chillers and refrigerators to find the perfect fit for you needs. 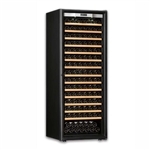 Vino Cellars has the best small beer and wine refrigerators for your home or business. We carry the top wine cooler units and wine bottle chillers in the industry, from small coolers to large coolers that can hold more than 60 bottles. Our wine coolers can be built into your space or tucked in seamlessly. Top models feature digital temperature displays, slide-out wooden shelves and security locks. You’ll only find the best wine fridges online at Vino Cellars.